With or without DHA? Are pre or probiotics better? What the heck is a nucleotide, and why is it in my baby’s food? How are parents possibly supposed to answer these questions if they do not understand what these things are, or how to decode the matching ingredients on a nutrition label? I am here to help you de-code! Most of these nontraditional and “non-nutrient” ingredients in formula may not appear on the nutrition facts chart (where you find calories, fat, etc.). Here’s another reason for the mantra … You must read the list of ingredients! All of these “designer” ingredients will be included with the vitamins and minerals after the “contains less than 2% of:”. Below is a little summary of the most common designer ingredients and the information you need to make a decision about feeding them to your infant. Both DHA and ARA are technically not “essential” fatty acids (which are all required ingredients in formula). This is because our bodies are capable of synthesizing these fatty acids from shorter precursor fatty acids. The argument for adding them to formula is two-fold: 1) The amount that infants need may be greater than their ability to generate these long fatty acids, and 2) Both these fatty acids are found in breast milk, although at extremely variable concentrations (4). A large review of many research studies on the topic found that addition of these fatty acids to infant formula did not result in significant improvements in either vision, brain development, or overall growth in healthy term babies (12). However, adding these fatty acids did not result in any adverse effects either. Despite the unenthusiastic research, it has become popular to add these fatty acids to formula. Since they do not cause harm, and are found in breast milk, I support choosing a formula that has DHA and ARA added. Just know – this will not improve your baby’s IQ. To help you decode the label, manufacturers will often add an asterisk (*) after these oils with a note on the bottom of the ingredients explaining that these odd looking oils are a source of DHA or ARA. Pre- and probiotics are all the rage these days! Both of these are considered avenues of optimizing the intestinal microbiome. This is a fancy word for all of the bugs that live in our gut. The healthy human gut is full of millions upon millions of bacteria that help us digest our food and keep our immune system functioning well. Probiotics are actually live bacteria! These are “good” bugs that are added to formula with the hope that they will move into the infant intestine. The most common type of infant probiotic that you’ve probably heard of is called bifidobacteria. Both live good bacteria and food for these bacteria (prebiotics) are found in breast milk. In fact, breast milk contains a really huge amount of prebiotics (called galactoligosaccharides) and many researchers study these fibers so we can try to replicate their benefits in formula. Pre-and probiotics in formula are added to help infants develop a healthy microbiome. Breast and formula fed babies develop very different intestinal microbiomes. Adding pre- and/or probiotics to formulas is safe since they are found in breast milk. Feeding prebiotics to healthy term formula-fed babies helps shift the bacteria in their intestines to more resemble that of breastfed babies … a very good thing (14)! Research has shown that both pre-and probiotics may be helpful in preventing and treating atopic dermatitis or eczema in healthy term infants who are at risk (15), and probiotics may help improve immune responses in healthy term babies (16). All of this work is pretty promising, but we desperately need more studies, especially long-term studies that follow infants for several years. However, in general, I am fairly supportive of both pre-and probiotics in formula. If I had to choose one, I recommend prebiotics as there are much more of these in human milk. Furthermore, it is much easier to add a probiotic (than a prebiotic) supplement to your baby’s feeding regimen if you think he/she needs one. Lastly, probiotic formulas only come in powdered form, so you have more flexibility when choosing a prebiotic formula. Nucleotides are actually the building blocks of your DNA and RNA: adenine, Guanine, cytosine, uracil, and thymine, with a sugar attached. They serve many other functions in the body as well. Knowing how useful these molecules are, it isn’t much of a surprise that they are also found in relatively high concentrations in breast milk. Some research in very small infants has suggested that feeding nucleotides helped these infants mount a proper immune response. They are considered very safe for infants to consume. However, we still don’t really understand why nucleotides may be helpful in formula, or what their long-term impact is for healthy term babies. Since nucleotides are found in human milk formula companies have been adding them to formula since the 1990’s. Since our goal is to make infant formula the best substitute for human milk as possible, I do recommend choosing a brand that does add nucleotides. Most do, but don’t assume. Here’s an example: Similac® Advance formula does contain nucleotides, but Similac® Soy Isomil does not. You must read the list of ingredients! Below is a brief summary of which mainstream formulas for healthy term babies contain which of the above “designer” ingredients. Nucleotides have been added to formula for decades. 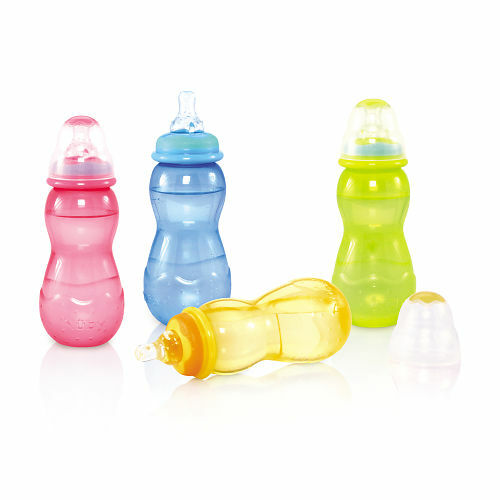 These are safe and found in large quantities in breast milk. I recommend them. Not every formula contains nucleotides. 12. Simmer, K., Patole, S. K., and Rao, S. C. (2011) Long-chain polyunsaturated fatty acid supplementation in infants born at term. The Cochrane database of systematic reviews, CD000376.